On the route to Rest Stop #5, Adam's Gap. The Northeast Alabama Bicycle Assoc. is proud to offer a wonderful event highlighting the beauty of our area. 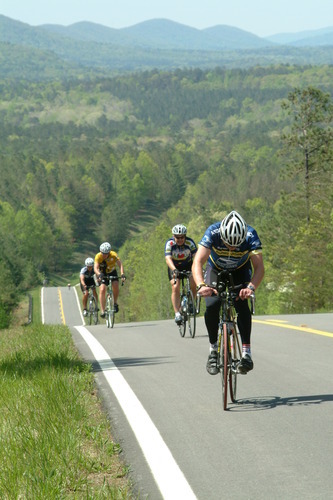 The Cheaha Challenge Century & ULTRA rides are the premier events for the bike club, and to make sure we have something for everyone, we offer a family ride, too, The Challenge/ULTRA, known as the "toughest ride in the South," offer distance options of 24, 44, 62, 84, 100 and 124. 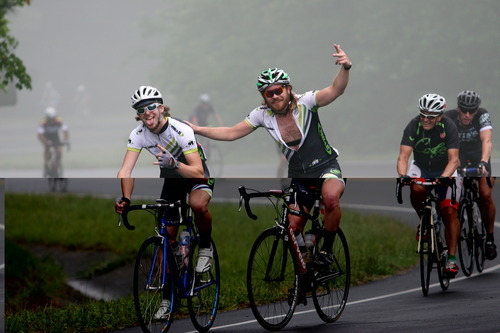 The ULTRA is for experienced riders only, encompassing 12,835 feet of climbing. The Chief Ladiga Cruise is a kinder, gentler ride, which is on the paved rails-to-trail, the Chief Ladiga Trail. The rides start/finish at Jacksonville State University's Pete Mathews Coliseum. Check website for fees and othe info. 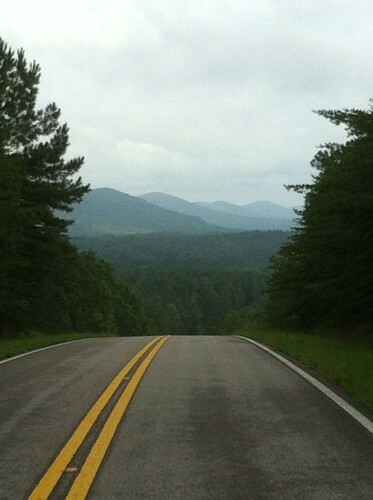 Jacksonville is located in the Mount Cheaha & Talladega Region of Central Alabama. Be sure to check out places to Go, Eat, Stay, and other events in Jacksonville.